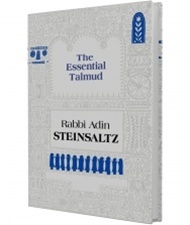 The Essential Talmud is a masterful introduction by Rabbi Adin Steinsaltz to the great repository of Jewish wisdom, the Talmud. A book of profound scholarship and concise pedagogy, The Essential Talmud succinctly describes the Talmud’s history, structure, and methodology. It summarizes the Talmud’s main principles, demonstrates its contemporary relevance, and captures the spirit of this unique and paradoxical sacred text as a human expression of divine law.